Hi there, and thanks for writing! 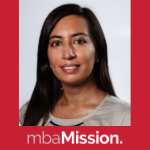 What is your post-MBA goal and geography? This will help you narrow your target schools. So I am only 25 years old. The reason for my low gpa is that i was doing CA & CFA at the same time as my graduation. Can that be used in my essay? Also similar to CFA, will me also being a CA boost my academic profile?